Essential Oils brings out what is most exciting about Brazil - its aromatic wealth , the greatest of the planet . 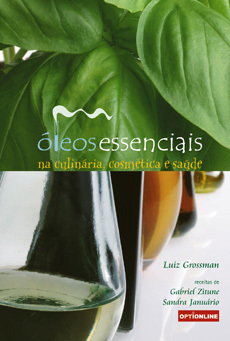 The book is a multisensory journey about essential oils, which are the green aromas produced by our plants. Based on the knowledge of smell and its ecological importance, the book details how plants produce essential oils, how they are subsequently extracted and how it is applied to our benefits in cuisine, natural cosmetics and health. Essential Oils offers the reader several simple, yet fantastic recipes for various uses. Some book pictures are scented with essential oils themselves, giving the reader an unprecedented dimension - the power to smell , touch, see and dream . Pitanga Cherry is one of the most popular fruits in Brazil. No one dislikes it. Pitanga Cherry takes us back to childhood, it brings up memories of other times, the pranks, Grandma´s desserts and folk remedy for stomach ache. Indeed, Pitanga Cherry is much more than that, The most Brazilian of All fruits has many secrets that are slowly revealed in this book, in all sensory dimensions. Pitanga Cherry, the plant explains how the unique properties of the plant can be used to improve your health. Pitanga Cherry Beauty tells the secrets of the Pitanga Cherry in cosmetics. Pitanga Cherry Perfume is about its unique scent, which is the gateway to emotions, and finally, Pitanga Cherry Flavor allows you to experience every nuance of the flavor of this magnificent fruit through recipes form main courses, sauces and desserts that you can easily prepare.